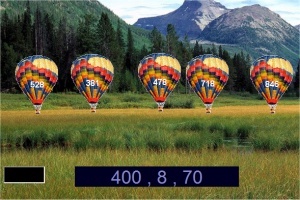 In this game, five numbered hot air balloons will be waiting on the screen. In the above example: 478. Click the hot air balloon that has this combined number, and it will be sent into the air. After sending all five balloons into the air, click somewhere on the screen to start a new trial with a new set of five hot air balloons.